FUN FACT: The Soldiers and Sailors Home was constructed in 1867 as a promise to Civil War veterans. 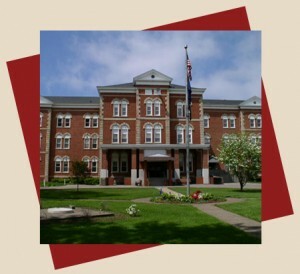 The building was first used as marine hospital for the care of the sick and unfortunate seamen of Lake Erie, however. Work was halted in 1885 when the project ran out of funds, but on June 3, 1885, a bill approved to pass an “act for the establishment and maintenance of a home for the disabled soldiers and sailors of Pennsylvania, who enlisted and participated in the war for preservation of the Union.” On February 22, 1886, the hospital opened its doors to veterans. It is located at the foot of Ash Street in the City of Erie. Historical research is how professional and amateur historians, genealogists, archeologists, anthropologists, authors, educators, students and YOU learn about the past. Through historical study you can trace the story of your family, learn about the people who built your home, and better understand the people, places and events that make your community unique. Regardless of the subject of your historical study, you will use both primary and secondary sources to gather information. A primary source is a document or object which was written or created during the time you are studying. These sources offer an inside view of a particular event. Examples of primary sources include speeches, diaries, interviews, newspapers, autobiographies and documents. A secondary source interprets and analyzes primary sources. These sources are one or more steps removed from the event. Examples of secondary sources include books, documentaries and encyclopedias. There are many local sources for primary and secondary materials, such as historical societies, museums, public libraries and university and college libraries. On the following pages, we list specific sources which may help you in your research.